5. Shelters that post pictures and flyers of lost and found pets on Facebook generate goodwill, positive press and donations. 4. Shelters will elevate their reputation in the community from “dogcatcher” to compassionate life-savers. Since “stray” contracts are funded with taxpayer money, they will show that they are using their funds wisely. 3. Pictures and information about lost and found pets are widely shared. This will increase a shelter’s Facebook “edgerank” making their other posts appear more frequently in their supporters newsfeeds, generating more adoptions and donations. We will also share some of your posts to our 40,000 plus Facebook fans, increasing visibility for your shelter. 2. Since an estimated 40 – 60% of animals in shelters are lost pets, proactively working to get them home by posting pictures will reduce overcrowding and disease, and free up kennel space for needier animals. 1. And the NUMBER ONE reason that shelters should post pictures of lost and found pets on Facebook? Because it makes reunions like this happen. Need we say more? Thank you to all of the shelters who do post pictures and share flyers of lost and found pets on your Facebook page. YOU are saving lives. 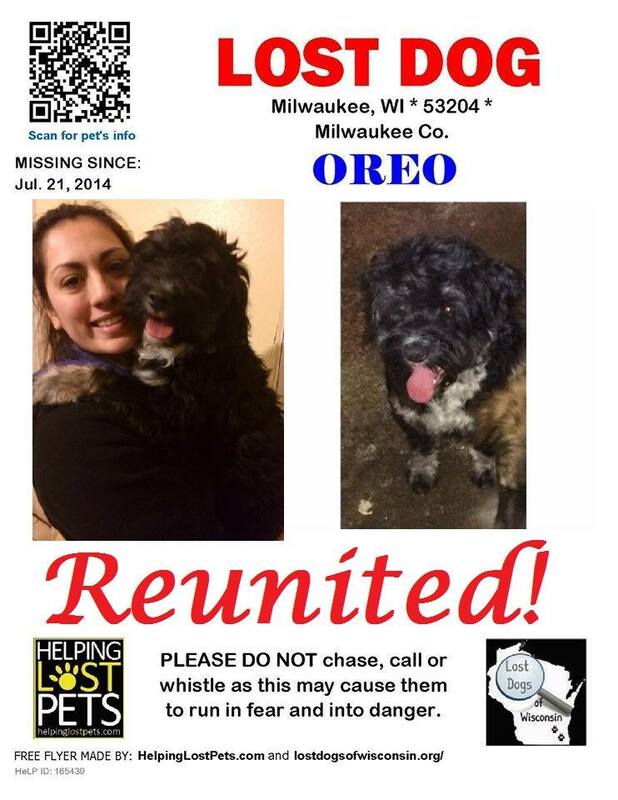 This entry was posted in Rescues and Shelters and tagged Facebook, Lost Dogs of Wisconsin, photos, shelters. Bookmark the permalink.